Women marched across India in 20 states at various locations calling for an end to the environment of hate prevalent at the moment. 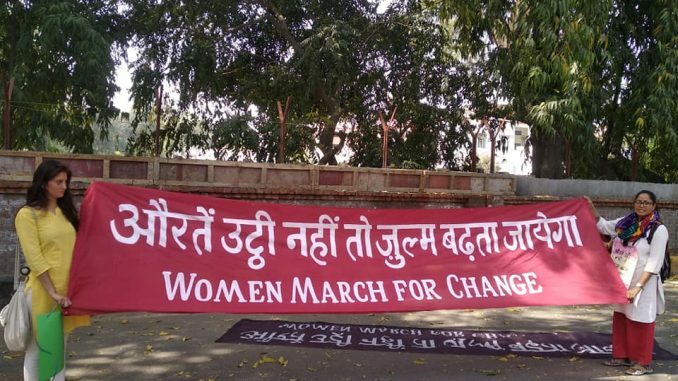 The “Women’s March for Change” was against the oppression of tribals, farmers, Dalits, religious minorities, women, transgender persons, and persons with disability. Participants stated that the march is s collective protest against the erosion of constitutional rights of the aforementioned groups. The marching women demanded that the Women’s Reservation Bill, guaranteeing 33% reservation for women in parliament, be passed. The demands extended to the sphere of jobs and politics. Slogans of “Azadi” were raised by participants who took to the streets in Delhi, Mumbai, Kolkata and Chennai among hundreds of locations in the country. In a bid to improve waste management and segregation practices, the municipal corporations of Delhi have identified model wards to serve as examples. All five municipal corporations have undertaken this exercise after an order by the National Green Tribunal. The guidelines for setting up model wards extend beyond just waste management to include action items such as rainwater harvesting. One ward under each municipal corporation will be chosen to serve as a model ward as per the order issued on March 11. The model wards will be used to pilot and showcase waste management and segregation of waste generated into plastic, biomedical and other categories. R K Puram, Mayur Vihar Phase 1, Rajendra Nagar, Shankar Vihar and Lutyens Delhi are some of the areas identified to be converted into model wards. Employees of municipal corporations will be trained on the best practices and to spread awareness among the residents. Punitive measures including fines will also be levied to reduce instances of non-cooperation. Mumbai could face a water crisis in the coming months as the stock of water in the seven lakes that supply to the city has fallen to just 26% of the total capacity. The current levels are the lowest in the month of April over the past two years. Bhatsa, Tulsi, Vihar, Middle Vairtarna, Modak Sagar , Tansa and Upper Vairtarna are the seven lakes that supply water to the city. The current stock of water in the lakes stands at 3.74 lakh million litres. The same time last year saw stocks at 5.59 lakh million litres. With the prediction of a below average monsoon, the city can expect an increase in water cuts in order to maintain supply. Since November 2018, there has been a 10% cut in volume and 15% cut in supply timing. This is expected to increase in the coming months in light of dip in the stocks. The city uses up around 10 % – 12 % of the available stock per month. State-of-the-art rakes that have been with the Kolkata Metro since 2017 have finally joined service. The metro had been awaiting the Railway Board nod to introduce the rakes which were specially built at the Integral Coach Factory in Chennai. The initial trial of two rakes have been completed and five rakes in total are expected to be pressed into regular service by the end of the month. 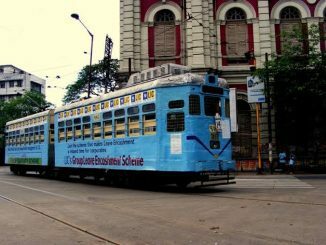 The newer rakes will replace 13 older AC rakes in Kolkata metro. The addition of the rakes will help the metro run 300 services in a day while the current number stands at 284. The older rakes that are being replaced suffered from technical snags and were unfit. The new rakes have state-of-the-art interiors and exteriors, CCTV cameras and talk-back systems that will allow commuters to engage with operators in case of emergency. The energy efficient systems are also expected to achieve 20% energy savings. In a practise that is expected to simplify redtape and yield revenue, the Hyderabad Metropolitan Development Authority will conducted e-auctions of plots at Uppal Bhagayat. The exercise is expected to yield the body around Rs 500 crores. The e-auction is set to cover 67 prime plots. Due to loopholes, the HMDA had put the auction on hold for the past two years leading to confusion among prospective buyers. The plots to be auctioned cover an area of 1,31,579.31 sq yds. The process of e-auction involves online registration which was held between March 9th and April 3rd this year by the HMDA. The actual auction for the registered bidders are scheduled for two phases on April 7th and 8th. The plots being auctioned were originally acquired by the HMDA from farmers for multi-purpose development. 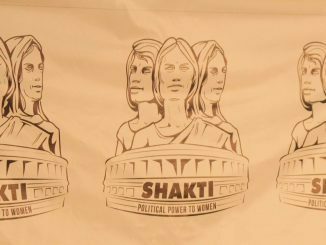 The Women’s Reservation Bill has not been tabled in Parliament till date, though several states have passed resolutions in favour of 33% women in politics. Meanwhile, here is a citizen movement that began down south and which promises action-packed days as far as the Bill is concerned. Where will India’s first Justice City be? Which city in the country has been ranked on top in terms of public transport options? Why is Mumbai reeling under water crisis? That and more buzz from cities in our weekly news recap. 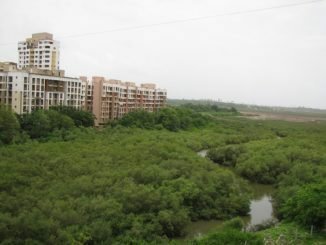 City Buzz: Plan for Mumbai mangroves | Curbs on lavish Delhi weddings | Kolkata Metro cuts carbon footprint..and more! Delhi to take steps to curtail food wastage at weddings, Hyderabad grapples with record rainfall, Punekars win fight to save bird sanctuary … all this and more news from cities across the country. Stay informed.